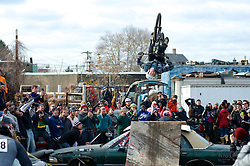 Annual Bilenky Junkyard Cyclocross & SSCXWC '13 Qualifier rounds - North Philadelphia, PA USA - December 7, 2013; Cycling enthusiast came out for the annual Bilenky Junkyard Cyclocross event in North Philadelphia on Saturday, Dec. 7, 2013. 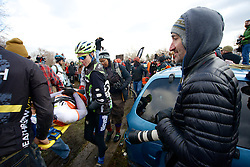 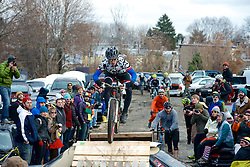 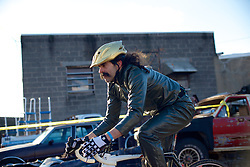 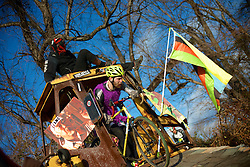 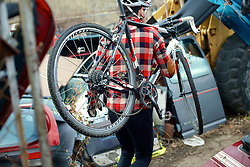 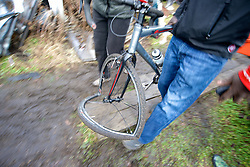 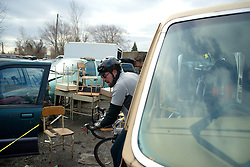 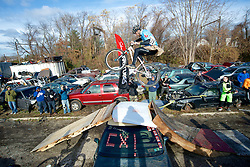 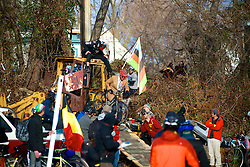 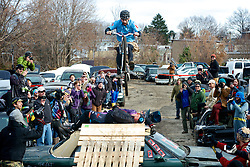 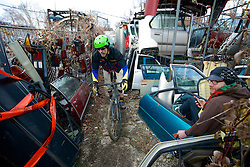 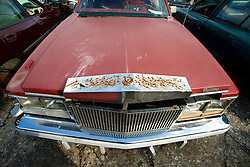 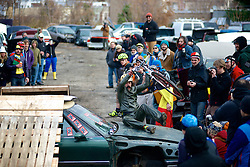 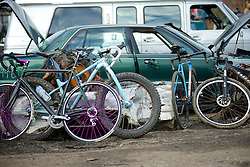 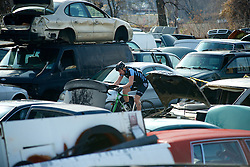 Partly inspired by traditional Belgian cyclocross folk festivals that happen in the winter season, the Junkyard Cross adds an American twist with the backdrop of abandoned trucks, vans and sedans. 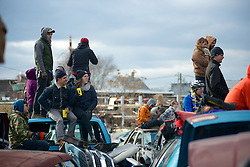 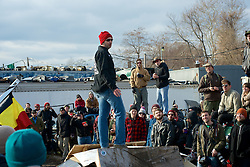 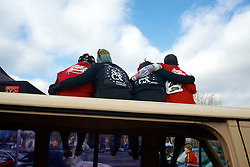 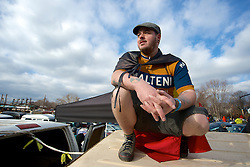 Spectators, often with a beer in hand, find vantage points on top of the roofs, trunks and hoods.